Escape Extinction will be located in the lobby of Entergy Giant Screen Theater. Guests do not need to purchase a ticket to the Aquarium to participate! The journey begins at the dock of the sleepy fishing community of Port de la Porte as guests board the SS Audubon, an advanced research vessel operated by H.A.R.T. (Human Animal Rescue Team). Guided by a captain, guests will experience different interactive areas filled with games and puzzles. 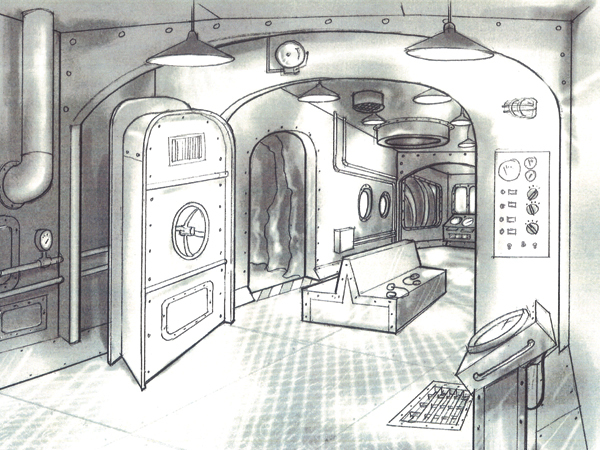 Guests will need to save the sharks, and board the escape pod to complete the mission. The mission will take about an hour, but guests can leave at any time through specially marked exit doors. Coming soon: tickets cannot be purchased at this time. Combination Aquarium and Escape Extinction tickets are available: adult $49.95, children (2-12) $41.95, and seniors $44.95. Each time slot is limited to 12 participants. Tickets may be purchased online or at any Audubon Nature Institute ticketing booth. Visitors to Escape Extinction do not need to purchase a ticket to the Aquarium. General admission tickets to the Aquarium do not include free admission to Escape Extinction. The mission is designed to be challenging and fun for children and adults alike. Each individual or group may have a different experience based on collective skill level. Children under twelve require adult supervision. The experience is not recommended for children five and under. The experience can accommodate a group of 12 every 15 minutes. For groups larger than 12, it is recommended to split into multiple groups. Everyone will complete the mission but will be challenged along the way and receive a rank based on performance. Guests are encouraged to continue to visit and see if they can receive a higher rank each time.